Is Federal Hiring Set to Rebound? Federal agencies hired nearly half the number of employees in fiscal 2013 as they did four years prior, and the gap between employees leaving and joining federal service continued to grow. The federal government hired about 77,000 new employees in fiscal 2013, according to a Partnership for Public Service analysis of Office of Personnel Management data, a 14 percent drop off from the previous year. 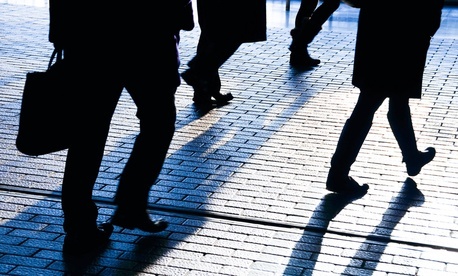 The number of separating employees, meanwhile, remained steady over the last two years at more than 115,000 annually. 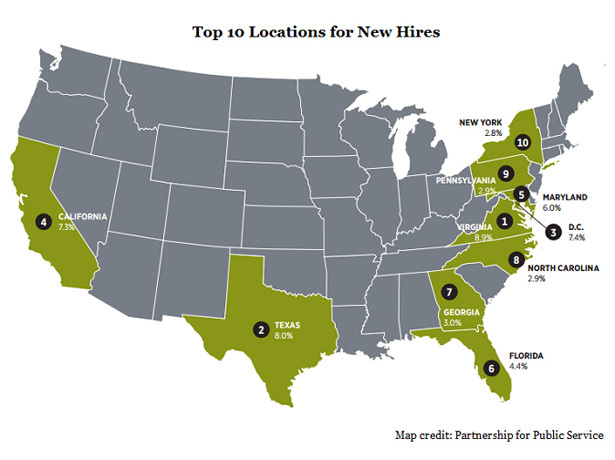 New hires represented 4.2 percent of the federal workforce last year. Agencies saw a dramatic uptick in STEMM (scientific, technology, engineering, mathematics and medical) jobs and veterans hiring. 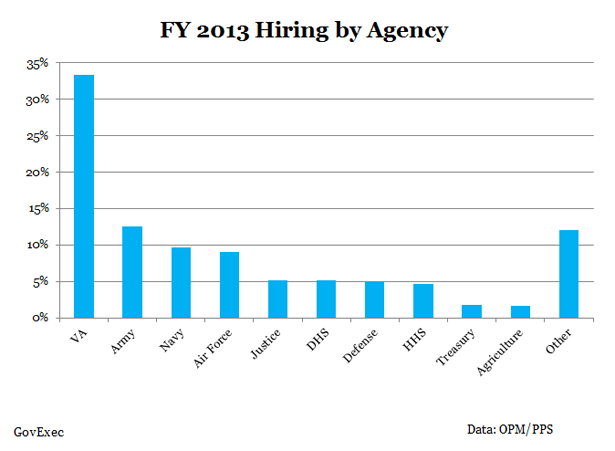 About 39 percent of new hires went to STEMM positions, while 45 percent were veterans. Both figures were up 10 percent over the last five years. Uncle Sam is hiring fewer young people, however. Just 24 percent of new hires were less than 30 years old, down from 2005 through 2009, when employees younger than 30 made up more than 30 percent of new hires. “The federal government needs to develop a strategy to recruit and retain a greater percentage of younger workers to build a pipeline for the future,” PPS wrote in its report.